The Chicago Museum of Architecture and Design and The European Centre for Architecture Art Design and Urban Studies chose 4 of Ashcraft designs to win 2017 GOOD DESIGN Awards! The Seagate Backup Plus Slim, Aivvy Q headphones, Wren V3, and Thiel Audio Aurora Lifestream, (seen in the image above) earned the prestigious award for each of our clients. For 2017, the Museum received submissions from several thousand of the world’s leading manufacturers and industrial and graphic design firms from around the world representing the most important and critical mass of influential corporations worldwide in the design industry from over 55 countries. The GOOD DESIGN jury met in New York and San Francisco selected over 900 designs from over 46 nations worthy of the GOOD DESIGN™ Award for their Design Excellence. All awards are posted on the Museum’s websites at www.good-designawards.com, www.chi-athenaeum.org and www.europeanarch.eu. All award winning designs are published in the GOOD DESIGN Yearbook for 2017-2018. 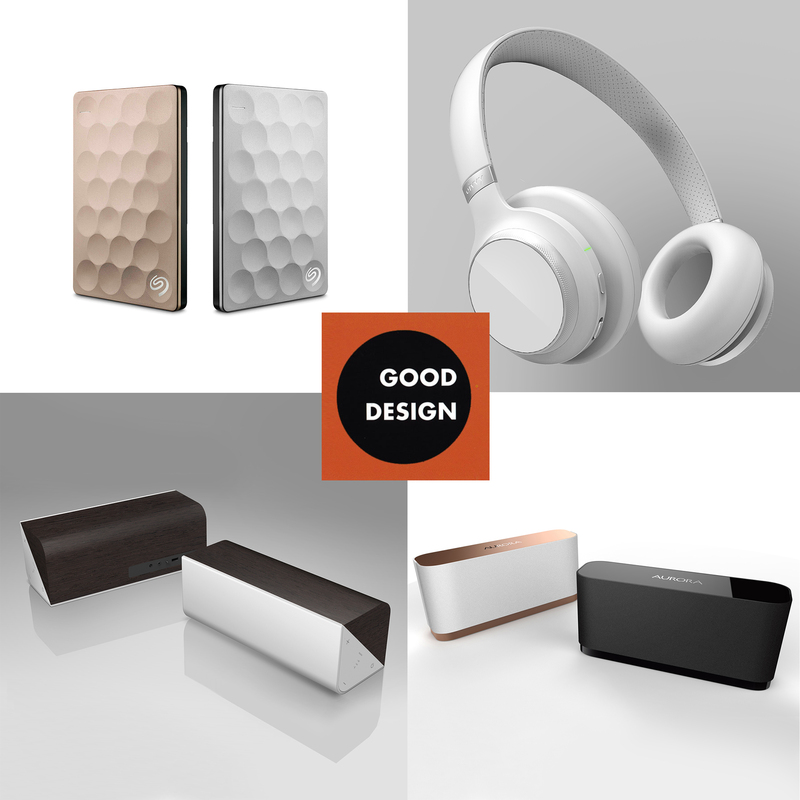 The GOOD DESIGN™ award is the world’s most recognized public certification for consumer design excellence and is used by the world’s foremost corporations, manufacturers, and designers to identify their product’s design merit. All winning designs are now part of the Museum’s prestigious Permanent Design Collection.